Trigger actions based on orders, inventory, fulfillments or perform actions. The best data feed inventory management for Shopify. With a ChannelApe integration you can execute actions based on a schedule. Create a store that looks and feels the way you want it. No headaches, no long hours. We make it easy to map your data, create categories and import product details - turning your data into a fully-stocked store. Sell smart. Apply rules, filters, pricing logic and product strategy. Simple Shopify Inventory Management. Set recipes that automate the process at a rate that's right for your business. You choose how often you want to update. Have tracking numbers sent automatically to your customers. You rely on apps to run your business. We don't add one more to the mix, we connect them all into a singular ecommerce ecosystem. Use the ChannelApe and Shopify connection as a multichannel retail base of operations. Expand out to other marketplaces (Amazon, eBay, Walmart), social media markets (Facebook, Pinterest), shopping engines (Google Shopping), affiliate networks and more. Reach your full retail potential. 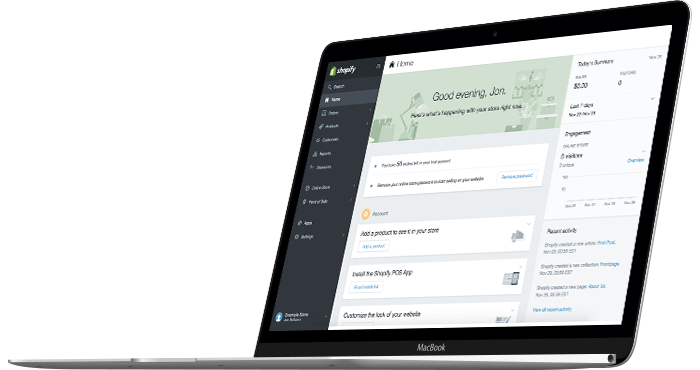 Shopify offers retailers everything they need to run an online store. It's a powerful tool. 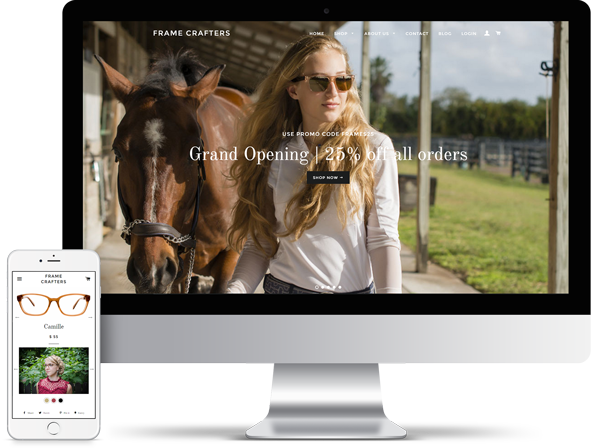 By using ChannelApe in tandem with Shopify, online retailers and entrepreneurs can optimize their ecommerce business, increase sales and make more money online. We handle the redundant tasks so you can focus on what matter most: sales, marketing and growing your business. Shopify services over 300,000 merchants whose stores gross over $10 billion in yearly revenue. Their retailers sell on verticals including fashion, electronics, home goods, pet supplies, toys, health and beauty, jewelry, furniture and more. In short, Shopify rules. So many people have found success through their platform - and you can too. 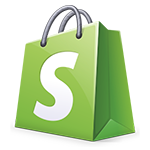 To learn more about Shopify visit the Shopify site and the Shopify pricing page. To read more about retailers like you who have found success online, visit our case studies. If you have more questions on how all of this works, check out our Knowledge Base.